Brown spots commonly occur on the body, particularly the face and hands, due to aging and sun exposure. 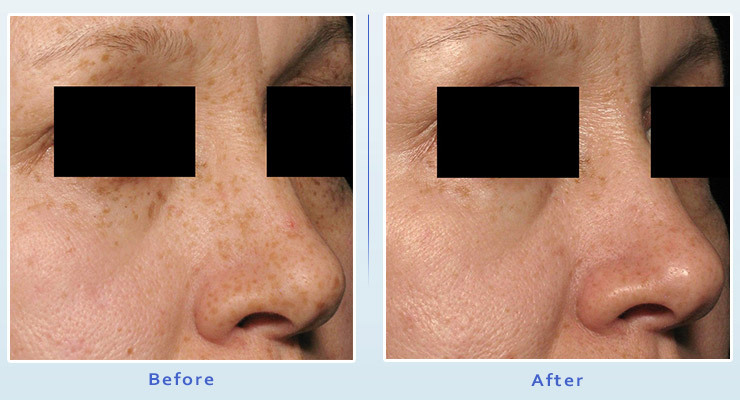 Brown spots (or freckles, age spots, liver spots) are sings of the aging process, and treatment and lightening of these dark spots results in a more youthful appearance. The Picosure laser is a 755nm Alexandrite laser which specifically targets pigments, so it is ideal for the treatment of brown spots and pigment irregularities. Picosure is the latest advance in laser technology, picosecond pulse duration results in minimal thermal damage to skin. Instead of damaging melanocytes with heat, Picosure induces a PressureWave to destroy the melanin in the dark spots, resulting in less damage to normal skin. 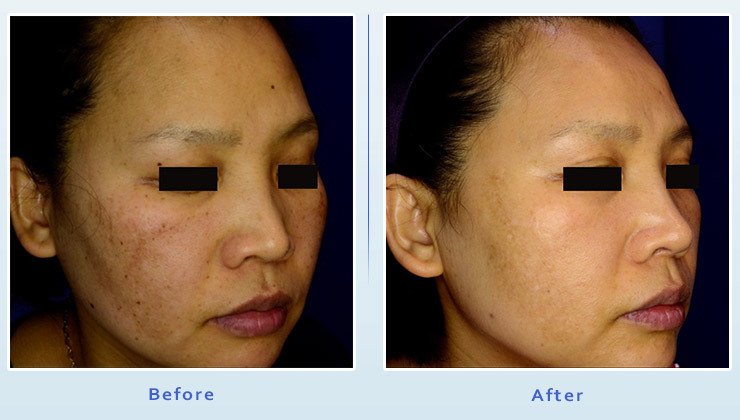 The treatment is safe for all skin types, including Caucasian, Asian, Hispanic, Latin, or African-American. The procedure is performed in the office. We apply a topical anesthetic for 30 minutes prior to the treatment, to make the treatment session relatively painless and very well tolerated. Once the laser treatment starts, it is very quick, depending on the size it just takes a few minutes. The downtime is minimal, depending on the severity of the condition, you may be red for a day, or may have a temporary darker appearance in the area of treatment. Makeup and powder can be used to conceal the treatment immediately. After the treatment, the skin may temporarily appear red and the brown spot may appear darker for a short period of time. Then, the skin may slough off over the pigmented lesion, revealing a lighter color where the brown spot was, after about 3-4 weeks. Laser treatment may be combined with chemical peels and/or topical bleaching agents for more dramatic response. 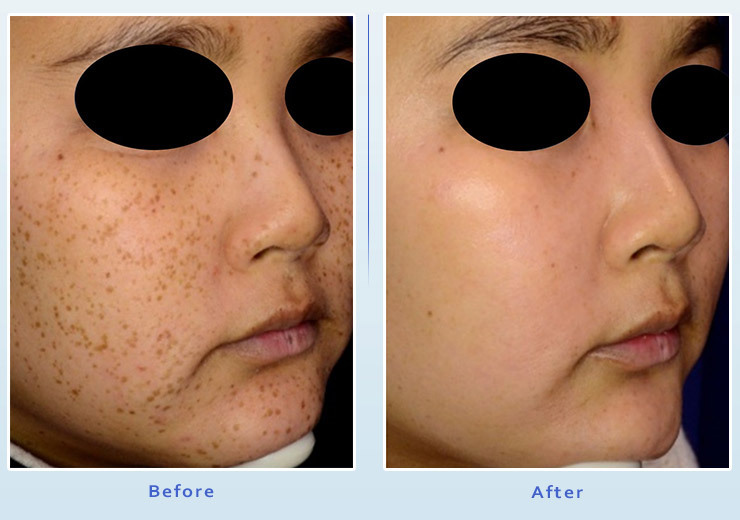 The improvement in skin pigmentation creates a more youthful appearance. Most people see a significant improvement after just one treatment, but some may require 3-4 treatments for optimal results. We offer package discounts to patients that desire to purchase a treatment plan. Please call (855) 496-4646 to make an appointment today!